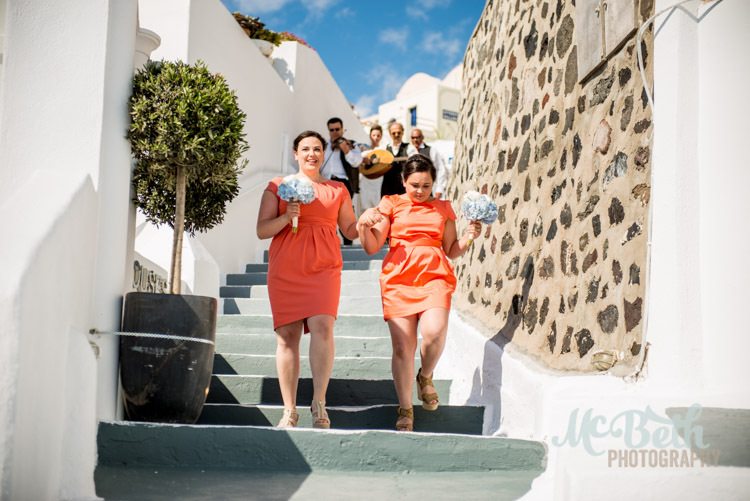 The Greeks invented the Wheelbarrow. 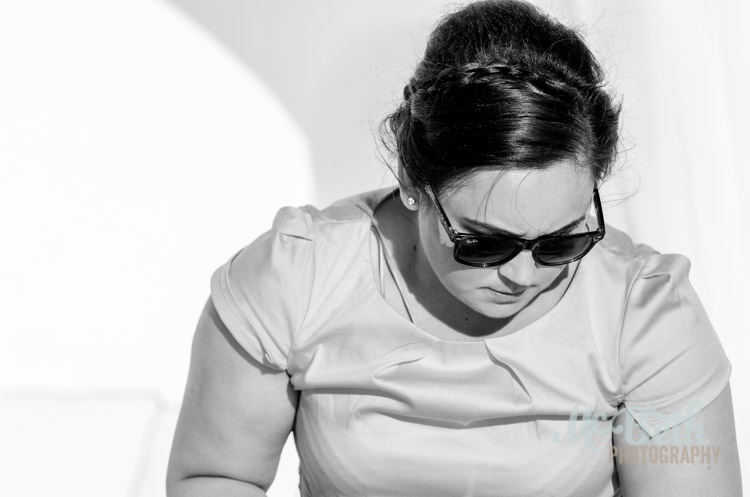 I am almost certain that hardly any of you knew, or cared, who invented the wheelbarrow. 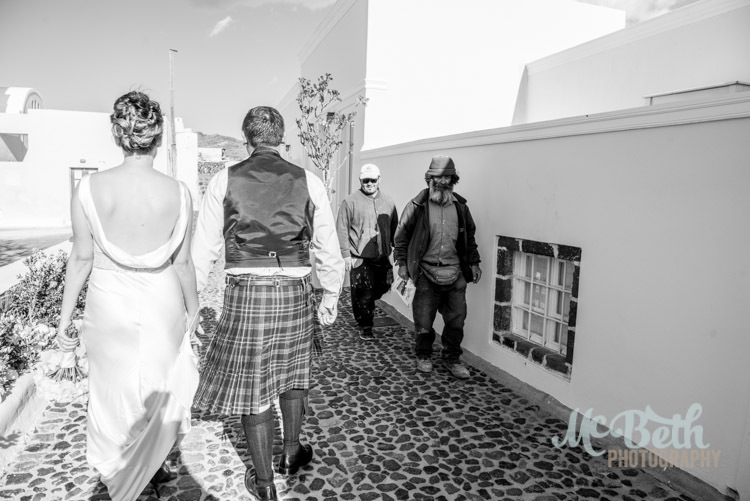 However I needed an interesting and attention-grabbing heading. 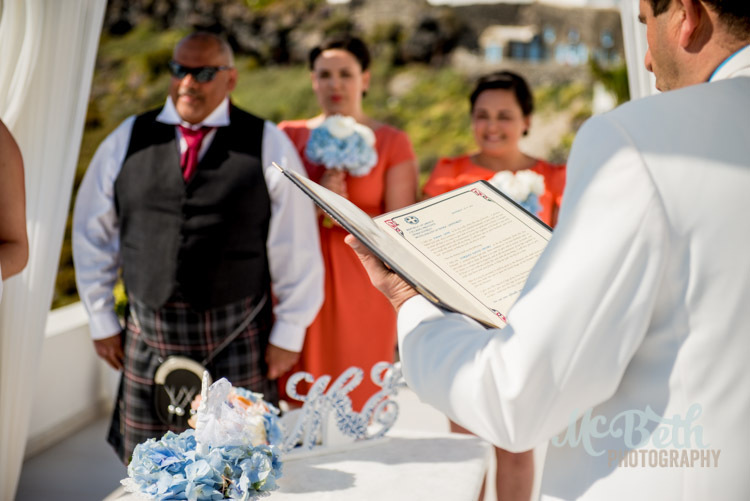 Anyway, you will all be aware that Mcbeth Photography is not bound by the confines imposed on other photographers by the rugged coastline of this rain soaked archipelago (look it up). 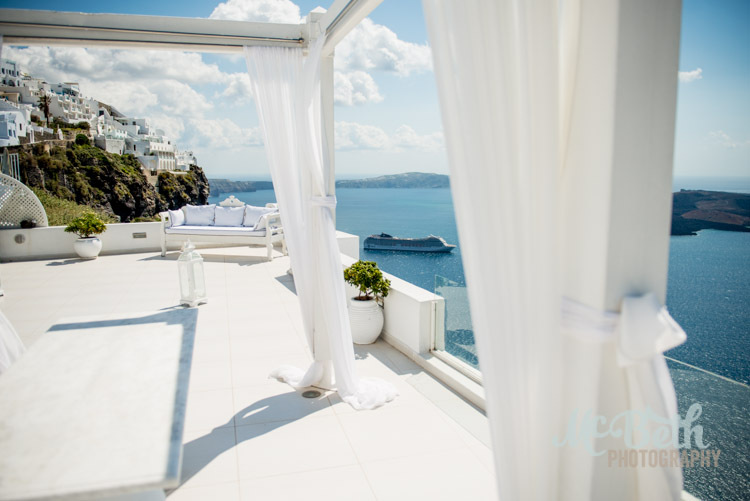 I am something of a jet-setter, don’t you know? 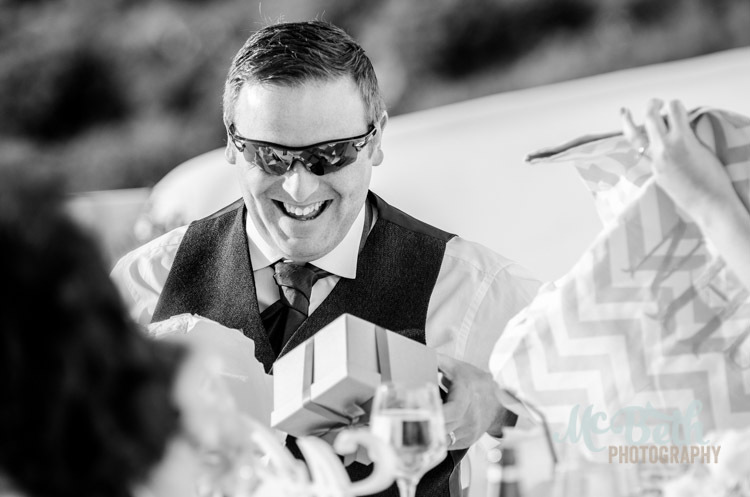 I think nothing of dropping everything and abandoning my family to head off to exotic locations like Manchester, Aberdeen, Mull, Cork or London. 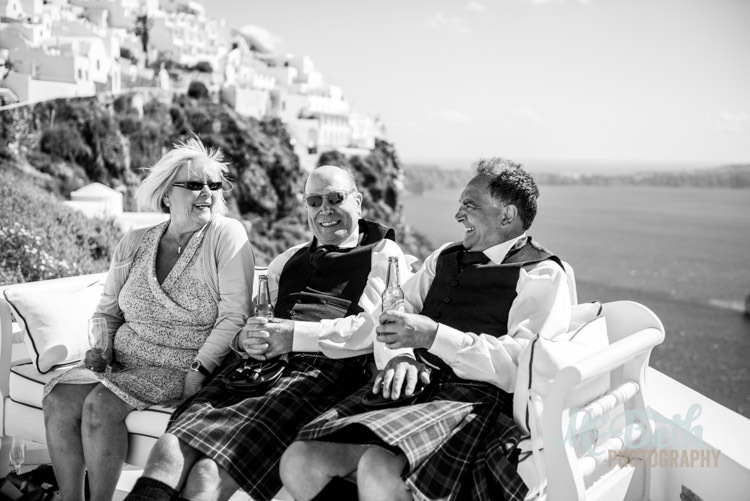 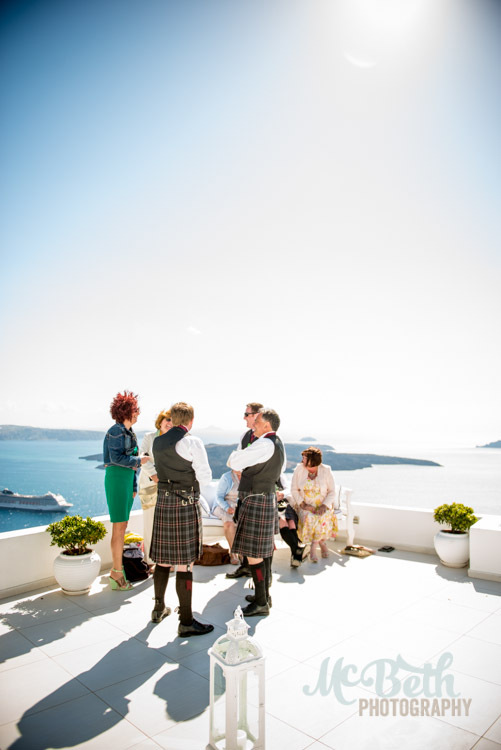 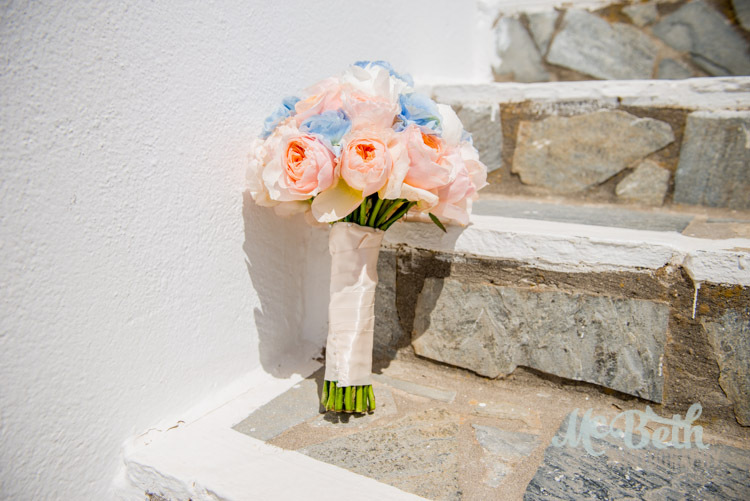 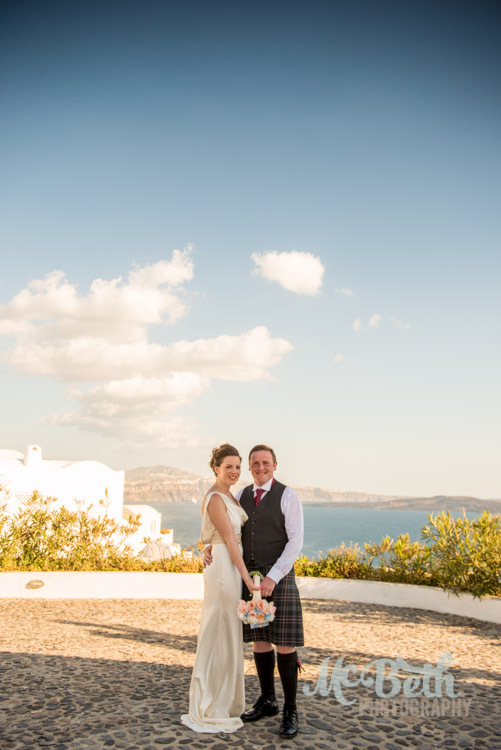 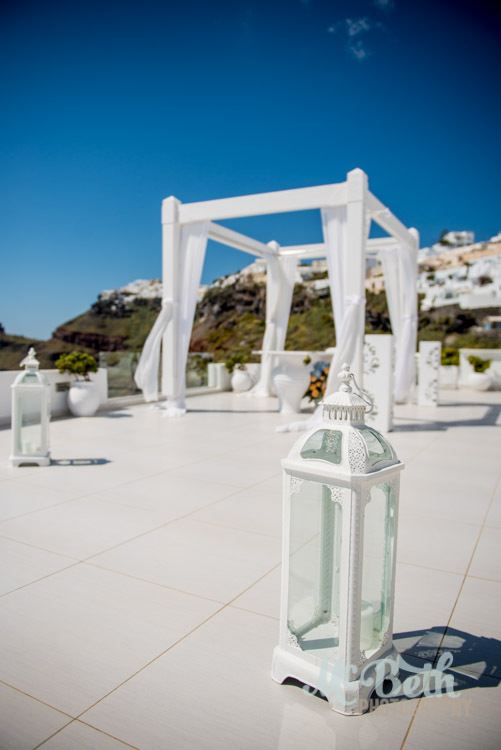 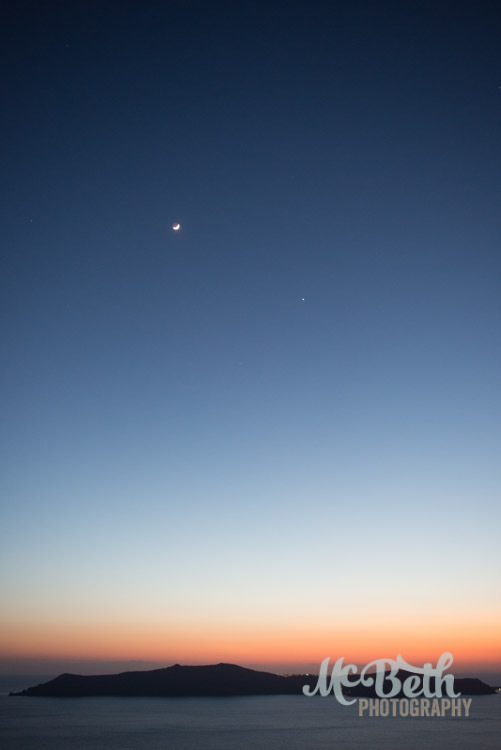 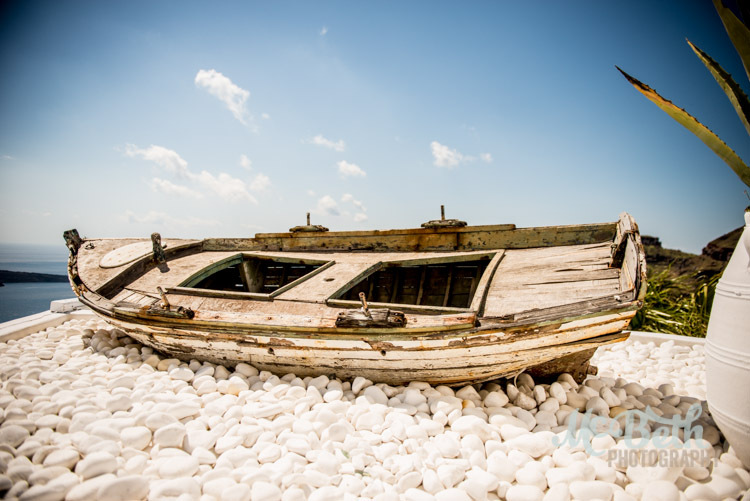 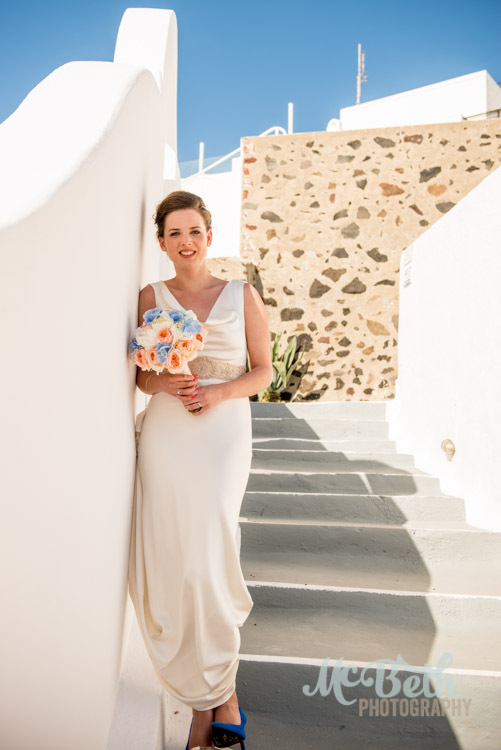 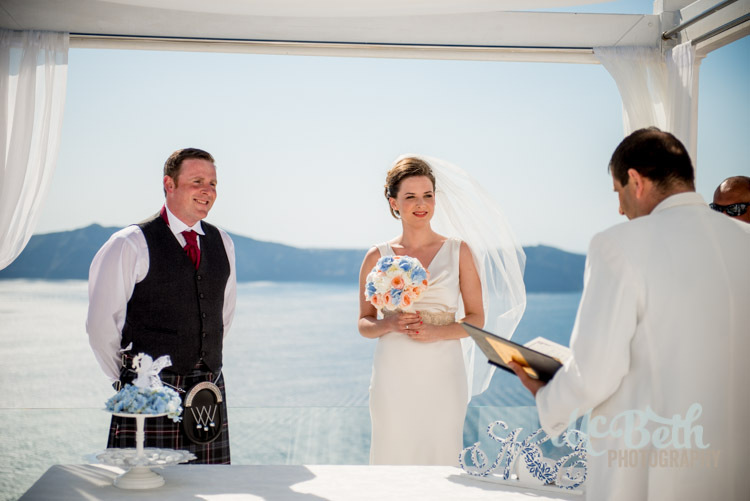 My latest sortie in the war on generic wedding photography took me to the Aegean Sea, more specifically the Cyclades, even more specifically, the glorious island of Santorini. 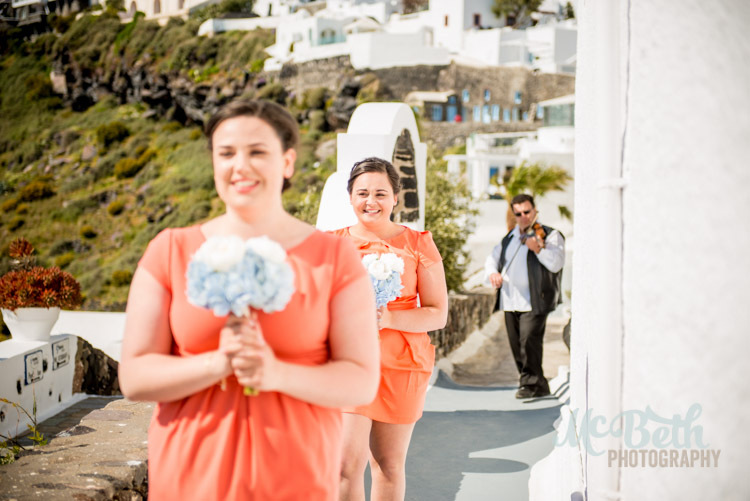 See now where my Greek/wheelbarrow reference was going? 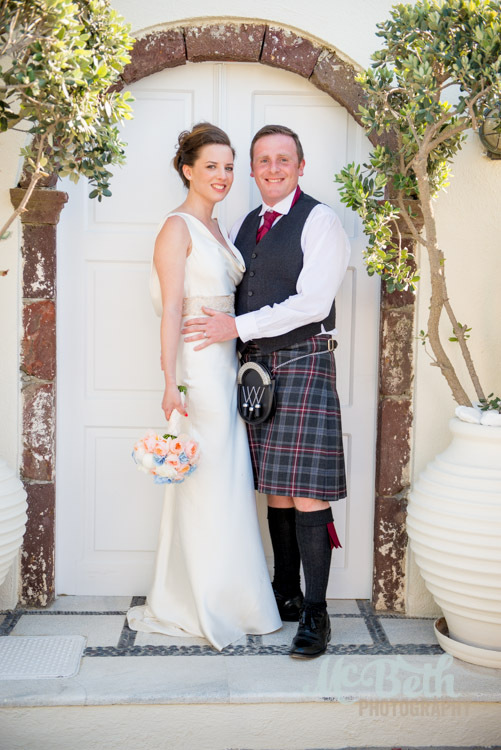 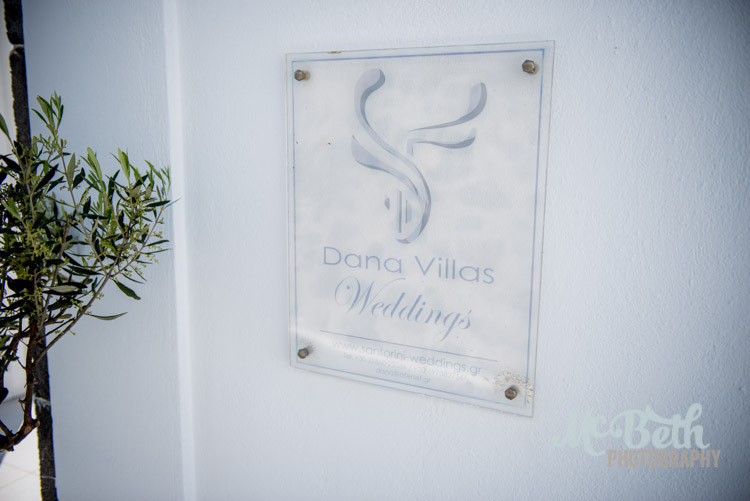 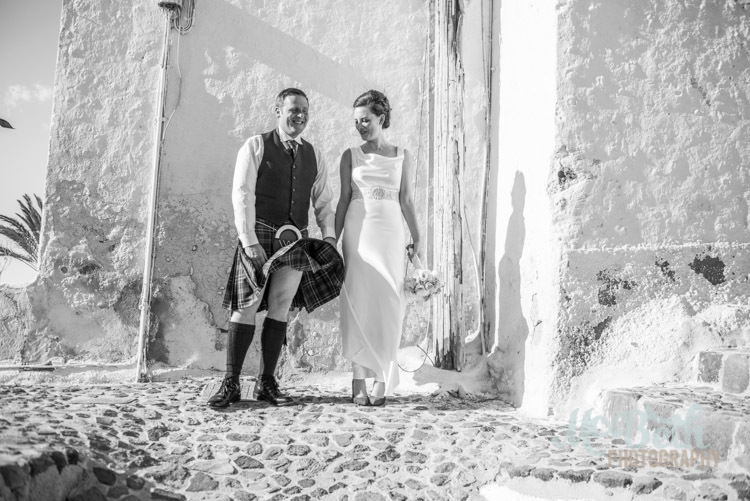 I was there in the warm spring sunshine to shoot the wedding of Emma and her golf pro fiancé (jings, this is going off the top of the glamour scale) Norman at the beautiful Dana Villas. 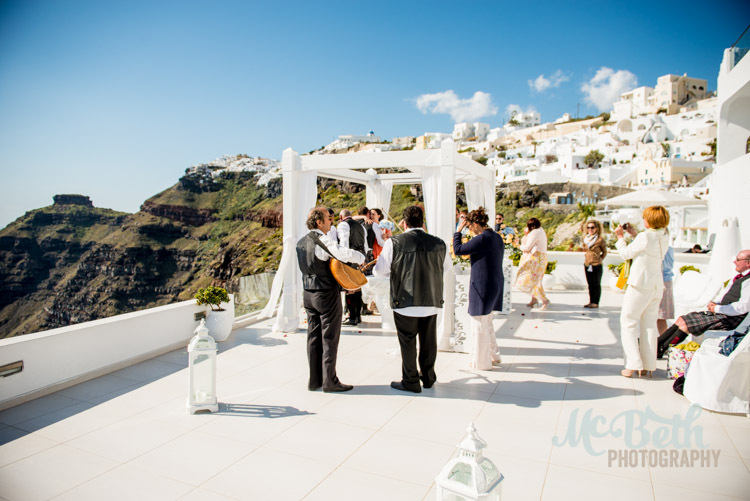 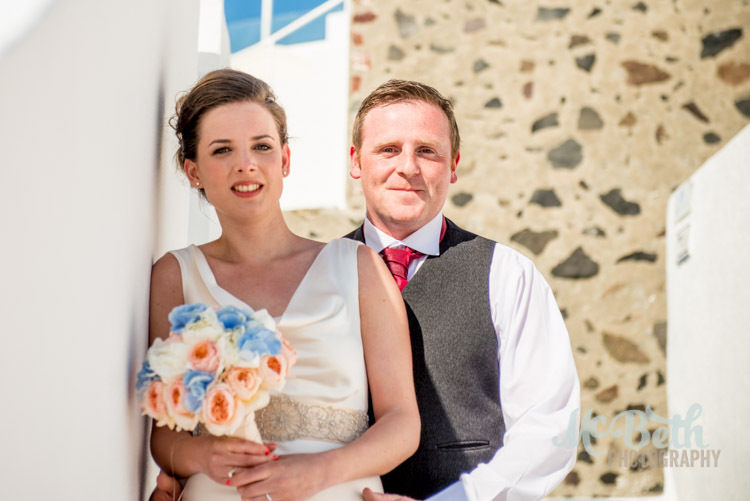 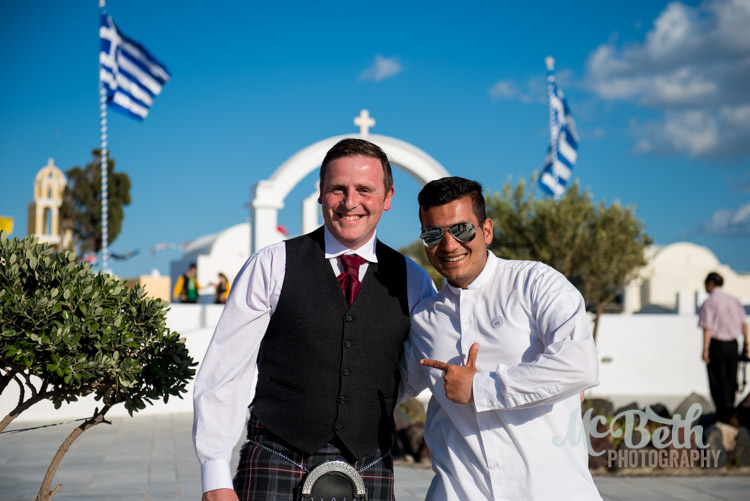 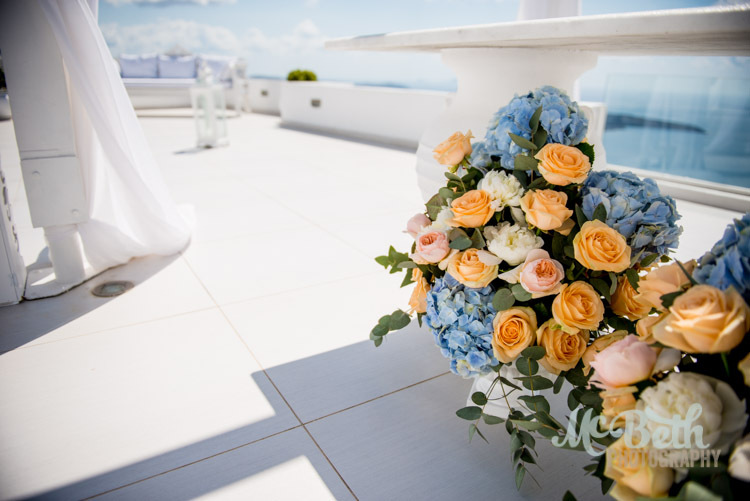 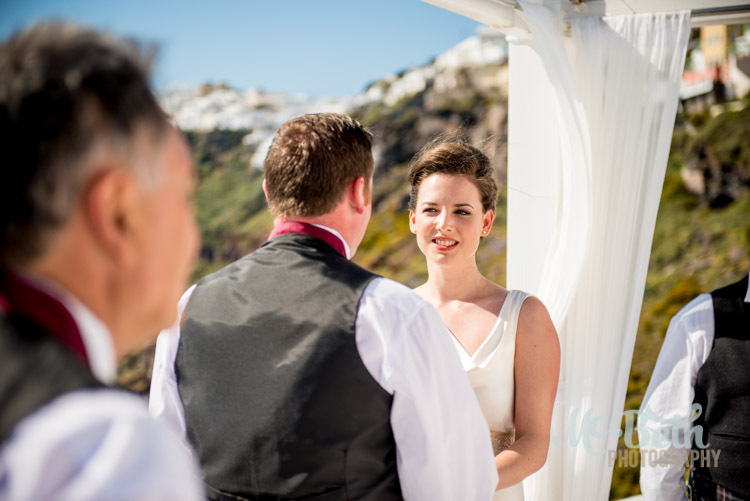 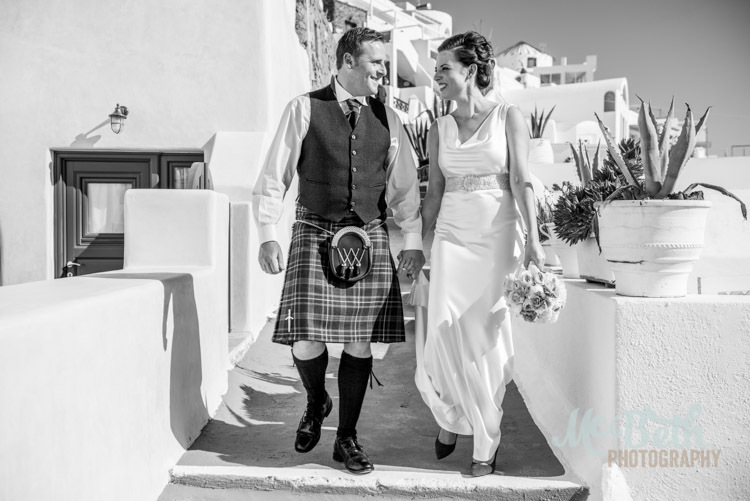 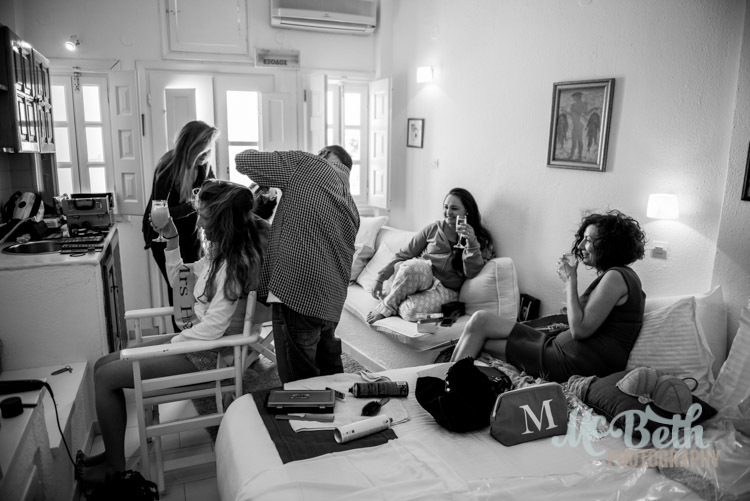 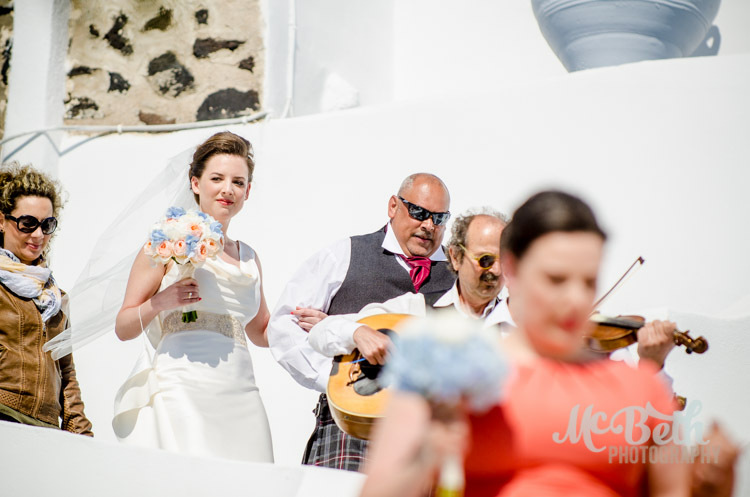 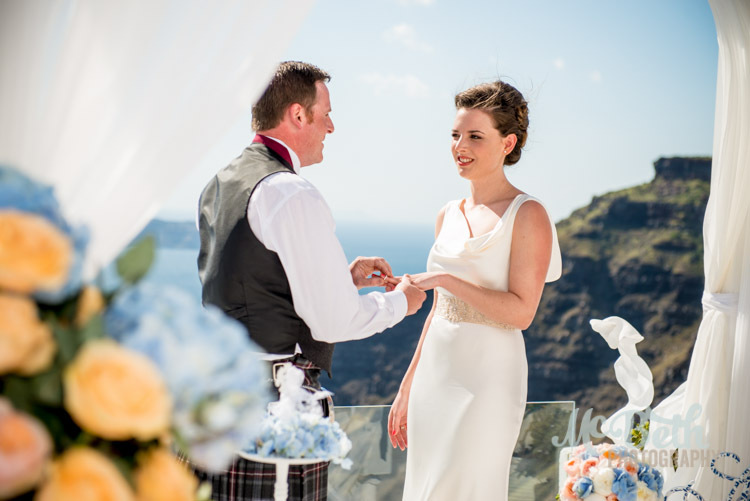 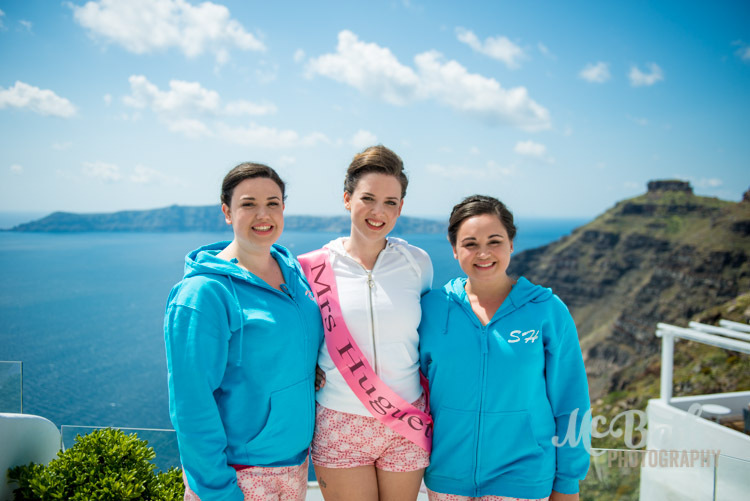 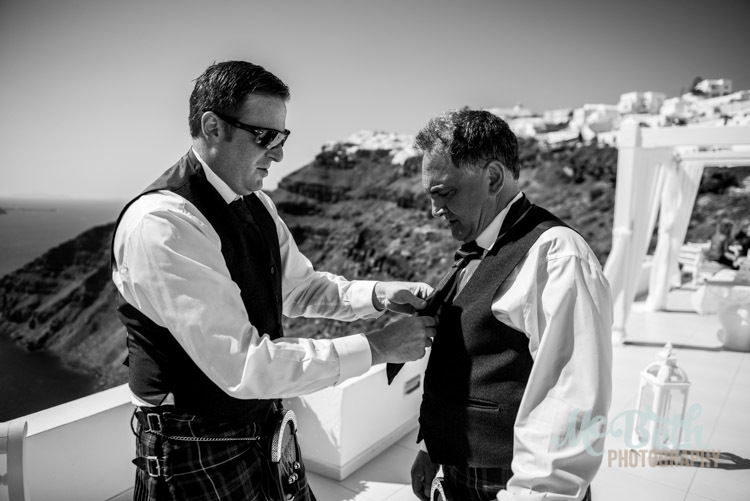 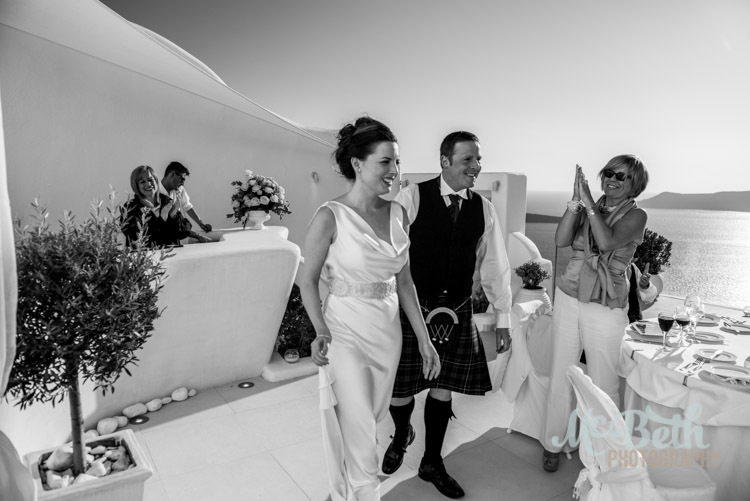 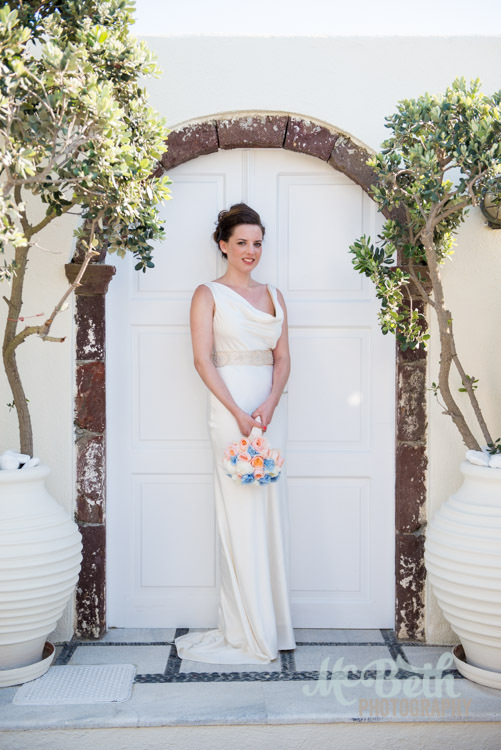 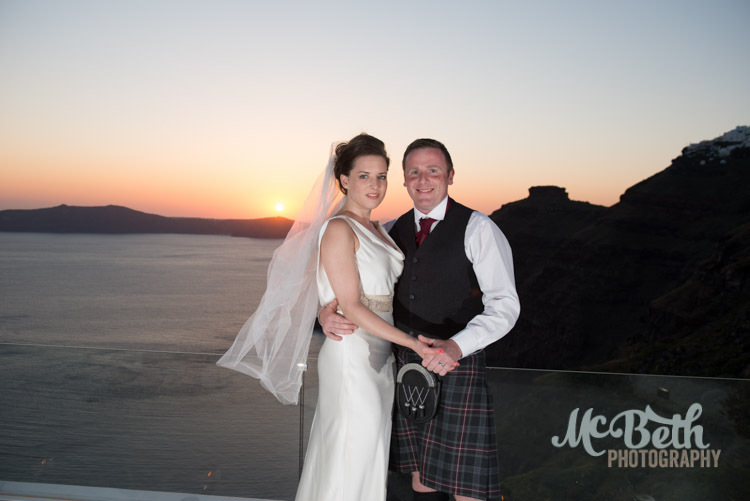 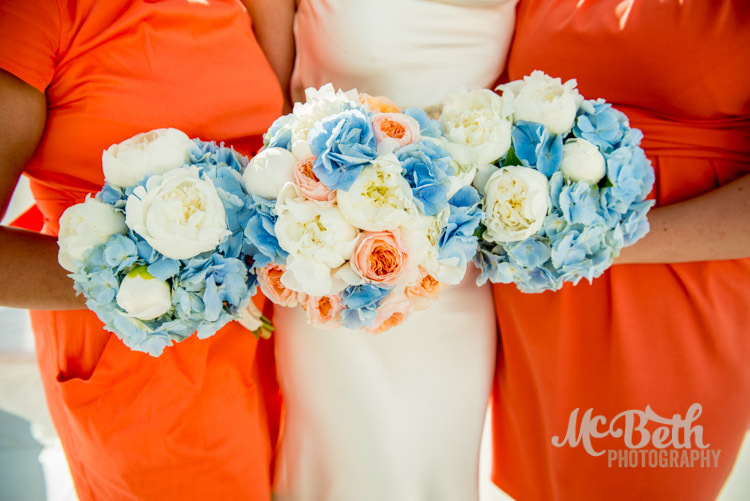 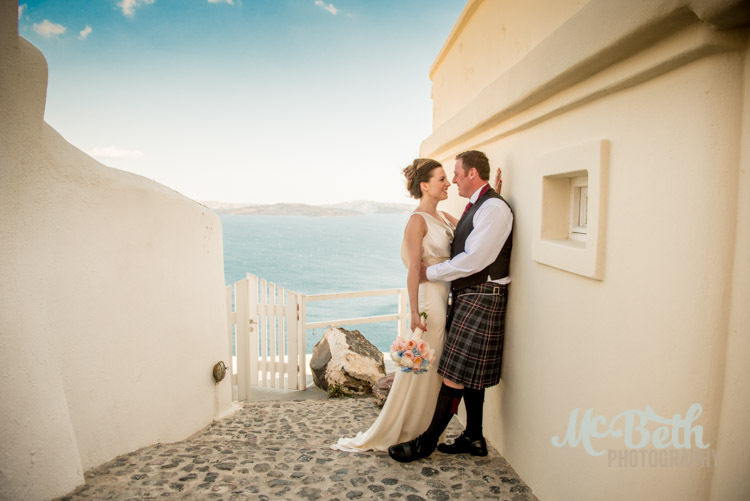 Wedding photography on the beautiful Greek island of Santorini. 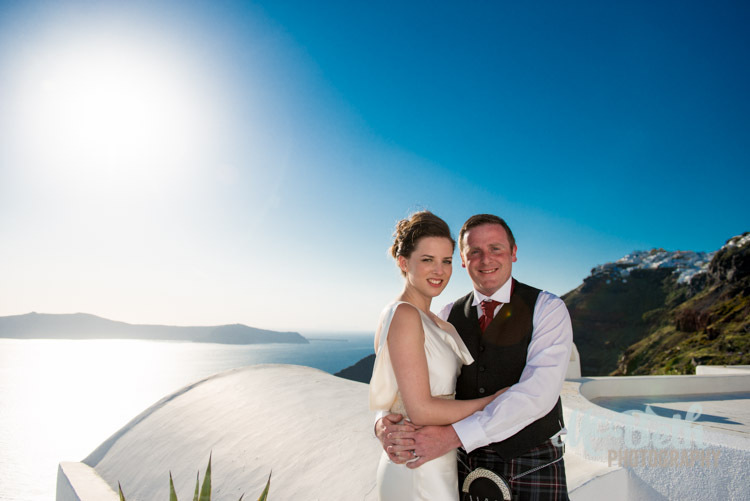 A wee bit windy on Santorini. 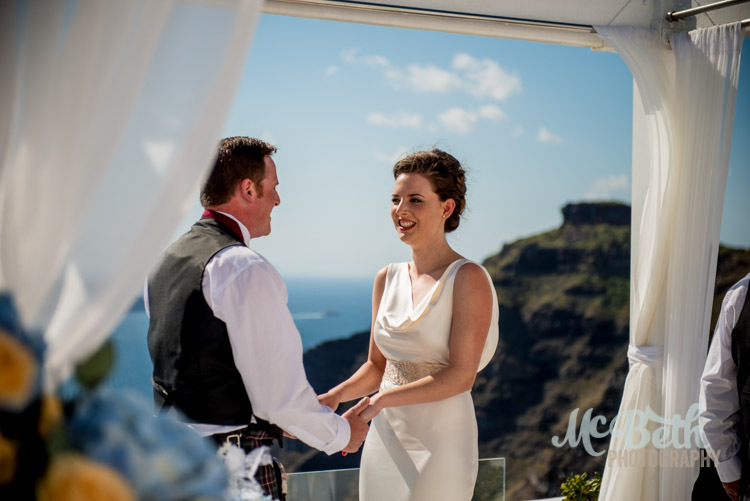 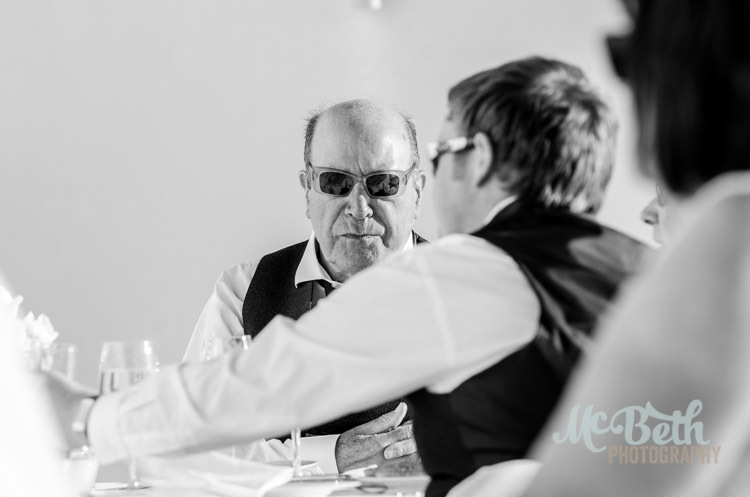 So people, if you are thinking about escaping the British weather which, to be honest, ain’t that bad, then feel free to contact McBeth International Photography.